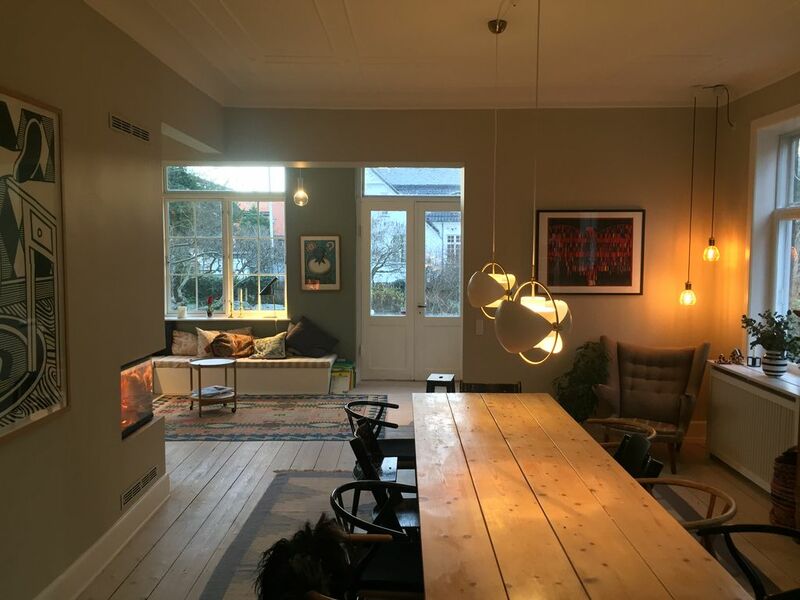 Luxurious mansion in the heart of Frederiksberg in totally renovated and fully equipped 230 m2 house. The villa has just undergone a complete remodeling and everything is brand new! High-end finishes and appliances with designer touches adorn this incredible contemporary private, city home. The bright and open room includes the living room, dining area and kitchen and opens onto a large deck perched to the garden. The spacious room includes 3-sided fireplace and the living room features a very large sectional sofa and comfy chairs. The designer kitchen features all new appliances, two ovens, 6 stove hood and an enormous table top. There are 4 bedrooms on the second level including a large bathroom with all amenities.